Happy Earth Day–let's keep this ball rolling! 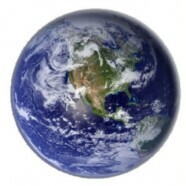 | Vandewalle & Associates, Inc.
Home » News » Happy Earth Day–let’s keep this ball rolling! Happy Earth Day–let’s keep this ball rolling! April 22, 1970 was the first Earth Day–a day of learning and action for our environment. Forty-five years later we’ve come a long way–not only in awareness but in positive change and actions that protect our health, environment and future. We are proud of Wisconsin’s role in getting the movement started. In fact, we owe Earth Day–and in many ways 45 years of environmental progress–to a number of visionary Wisconsinites including Senator Gaylord Nelson, UW Professor Emeritus Phil Lewis, and Harold Jordahl of the Department of Resource Development who discovered the Professor’s innovative resource mapping work and brought it to the department. Today, April 22, 2015 is an excellent day to reflect on just how far we have come–and again how much work remains. Won’t you join us?